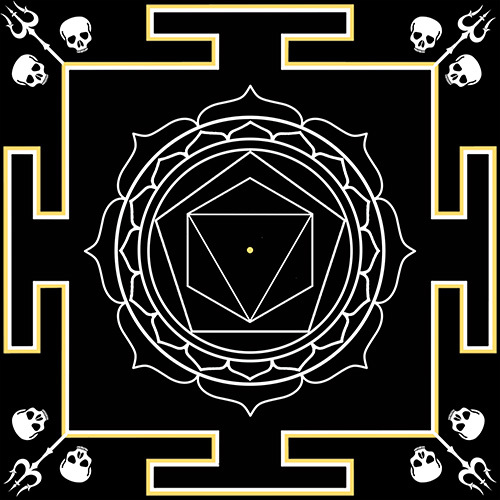 Kālī is worshiped in many forms, in tantra we can find 10 or 12 Mahavidyas. 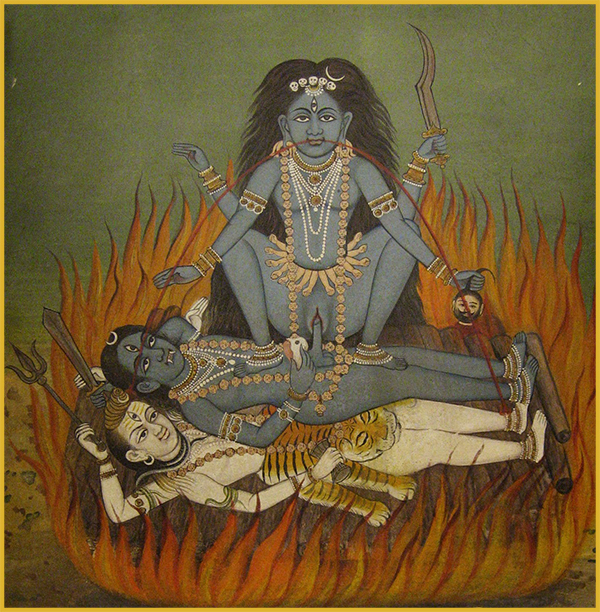 Widespread is the worship of Mahakālī, Dakshina Kālīka, Smashankālī, and others including Guhyakālī, the secret or hidden form of the Goddess Kālī. She is described in detail in the Mahākālasamhita (composed in the 10th C.)) in a section dedicated to her. According to this text Mahākāli is the Primary Goddess of the entire tantric system based on the Vamachara practices. 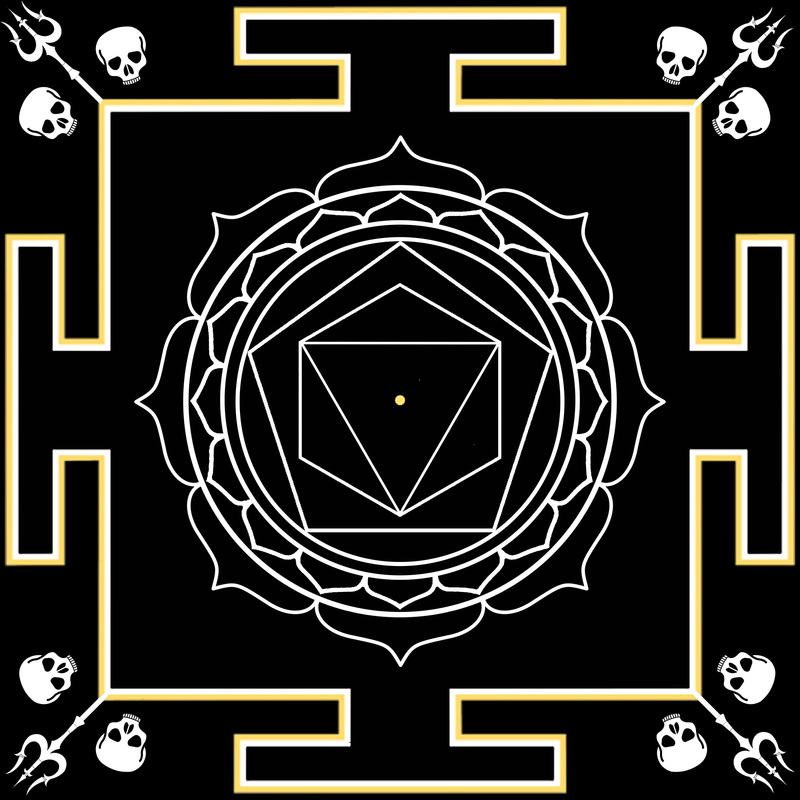 In the Mahākālasamhita the various forms of worship, mantras and yantras related to Guhyakālī are revealed. Goddess worship is not for everyone and is dedicated only to advanced practitioners, to those Sadhakas who devote a life to the reciprocal exchange of conditions with the Goddess and who know how to protect themselves from the dangers encountered during these powerful rituals. 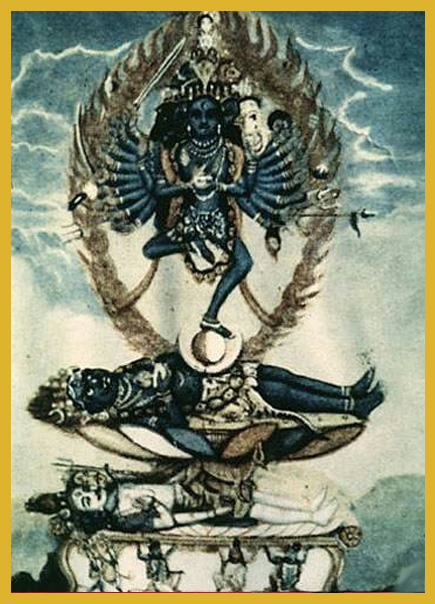 Guhyakālī is the form of the Goddess beyond human perception and is secret. Below one of her Mantra.